Dhyan Sreenivasan is a South Indian actor who is active primarily in Malayalam film industry. He has made his debut in acting by taking up a role in a movie by the name Thira. In this film, he co-starred with veteran actress and two-time national award winner Shobhana. This film was directed his illustrious elder brother Vineeth Sreenivasan who is an actor, director and singer in the industry. His performance in this film was generally welcomed and appreciated by critics in the Malayalam cinema industry. Dhyan Sreenivasan is the second son of noted script writer, director and actor Sreenivasan. Dhyan Sreenivasan was born in the city of Chennai to a Malayali couple. His parents were Sreenivasan and Valsala Sreenivasan. He is the youngest in the family. He has an elder brother who has carved his niche in the world of Malayalam cinema. His name is Vineeth Sreenivasan. He had his schooling and formal education from SBOA school in Chennai city. Later, he joined in a junior college in the city to complete his intermediate education. After completing his intermediate education, he joined a professional engineering college to train himself as an engineer. During this period, he had few good associations with cultural groups in his neighborhood and participated in their activities. Due to his love for the medium cinema, he discontinued this course and took up a course in visual communication in the city and started doing some documentary or short film. The love for the movie and the visual medium was inculcated in him right from his childhood days when illustrious father used to invite his colleagues in the industry to his house and discuss with them about his next script or project in his mind. At the visual communication institute, he studied cinematography and editing for a while. During that point in time, he wanted to be behind the scene directing the film for its substance and look. He took this decision due to his lack of experience in acting. When Dhyan Sreenivasan was doing his course on Visual Communication, he had to do a short film to get him evaluated by the faculties in the institute. This film was directed by him. Due to the non-availability of a full-time actor, he took the mantle of acting on himself. This project was undertaken by him to primarily learn about the art of cinema making. So, he never showed that to anybody. But the fate had another say on this matter. While searching for something in his laptop, his elder brother Vineeth Sreenivasan happened to chance upon this film. Out of curiosity, his elder brother sat there and watched the whole film. The work put in the film was liked by Vineeth Sreenivasan. So, Vineeth decided to give a chance for his brother in his next film Thira. After getting the offer from his elder brother, he was initially hesitant to take up the challenge. But his friends and crew who cooperated with him when he was making the short film encouraged him to take up the acting role in the movie. After a lot of persuasion, he finally agreed to act in the movie. After a period of indecision, Dhyan Sreenivasan decided to act in the movie titled Thira. This film was directed by his elder brother Vineeth Sreenivasan. The script for the film was written by his cousin Rakesh Mantodi. This film was produced by Manoj Menon under the banner ReelsMagic. Thira was considered as the first installment of three suspense thriller movies announced in the last year. In this film, Dhyan Sreenivasan shared the silver screen with noted danseuse and actor Shobhana. Through this film, Shobhana was trying to make a forceful comeback in the Malayalam film industry after a break of over a decade. According to his father Sreenivasan, this film was based on a story from a book titled "The Road of Lost Innocence: The True Story of Cambodian Heroine". However, the critics in the movie and media industry held the view that the film more resembled like the 2007 movie "Trade", with some of the elements of the plot borrowed from the movie titled "The Whistleblower". The shooting of the film took place in places such as Hyderabad, Goa, and Belgaum by Jomon T. John. The music of the movie was composed by Shaan Rahman. The lyrics of the movie were written by Anu Elizabeth. After a long preparation, the movie was finally released on November 17, 2013 to the packed audience in movie theaters. Due to the substance of the theme of the thriller movie in Malayalam, it was universally hailed by the film critics. According to the film critics cutting across the different media houses in the state and the country, the film had a thoughtful exploration of the theme and its objective was well focused and detailed for its most part. The supplementing to the beauty of the theme, the lead actors in the movie such as Dhyan Sreenivasan and Shobhana had perfectly done their job well. The narrative of the movie moves at a steady speed throughout to make an everlasting impact in the minds of the movie lovers in the state. In total, it can be termed as a paisa vasool movie. Hence, the overall rating the movie got 3.5 out of maximum possible 5. The movie has also brought into the limelight once again the creative and director talent in Vineeth Sreenivasan. Because of the positive reception received, the acting talent of Dhyan Sreenivasan was also noted by the big tickets in the movie industry. As a result, many established directors in the industry have agreed to give chances for him to act in their movies. 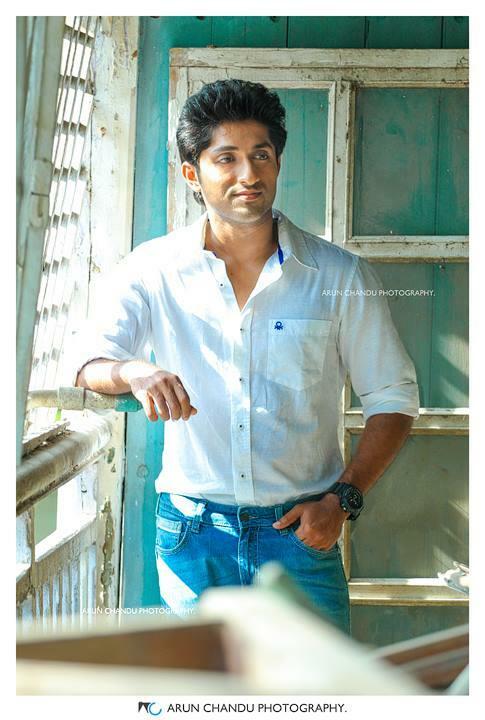 Dhyan Sreenivasan is an upcoming actor in the Malayalam movie industry. He made his acting debut in the movie Thira. In this movie, he co-starred with the noted danseuse and actress Shobhana. Through this movie, she made an impactful comeback in the Malayalam movie industry after a long break of over a decade. This film was designed as a suspense thriller. The director of the movie is Vineeth Sreenivasan. Ironically, the movie director is the elder brother of the lead actor in the movie. The actor Dhyan Sreenivasan did a comparatively good job in the movie, even surpassed the expectations set for a debutante in the movie industry. He is the son of a reputed screen scriptwriter, actor and director Sreenivasan. Hence, he had the soft corner for the arts and movies, right from his childhood. When he took up the course in Visual Communication, he did a short movie to learn the art of film making. His work was accidently looked at by this elder brother Vineeth Sreenivasan. Thus, he got his first break in the Malayalam movie industry.